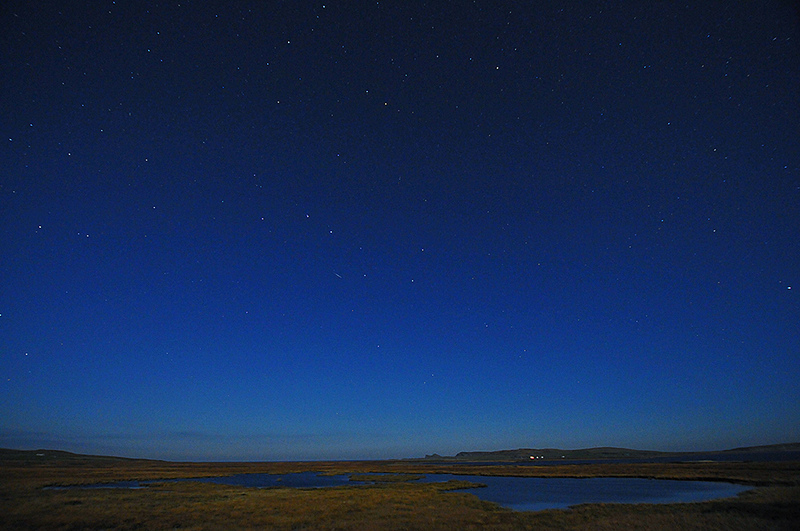 An October night from the road to Kilchoman, looking north over Loch na Cachle and Loch Gorm towards Saligo and Ballinaby. This entry was posted in Freshwater Loch, Landscape, New Post, Night and tagged Ballinaby, Islay, Kilchoman, Loch Gorm, Loch na Cachle, Opera House Rocks / Sleeping Giant by Armin Grewe. Bookmark the permalink.